Around this time of the year, every year for the past 4 years, Jumia organizes an event (an online festival of some sort) and tags the event “the biggest mobile phone sale of the year”. 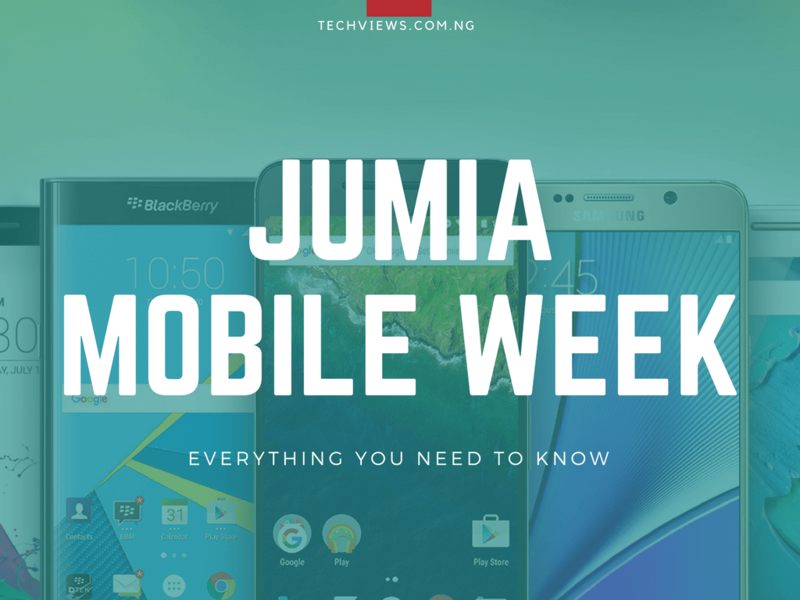 That event, Jumia Mobile Week, is about to begin again this year and I’ve done my best to provide answers to queries you might have about it. What is Jumia Mobile Week? As previously touched on in the introductory part of this piece, the mobile week event is, quoting Jumia again, “the biggest mobile phone sale of the year“. PR hype and buzzwords aside, Jumia (and sellers on the platform) during the said week, drop prices across the mobile phone and tablet categories at their stores. So while a smartphone would have a selling price of, say, ₦60,000 on a ‘normal’ day, during the mobile week, you might be able to snag the exact same device for less — say, ₦55,000. This is not an offline thingy, so as long as you live in Nigeria and can access Jumia, whether from a mobile device, a computer, a gaming console, or from a TV, you can participate and enjoy the said discounts. Jumia Mobile Week 2018 starts on Monday, 19th of March, 2018 and runs until the 25th (a Sunday). What kind of deals should I be expecting? Every day, starting right at 12 am that day, there would be flash sales on select devices at select times throughout the day. These flash sales can save you as much as 50% off the normal cost price of the device. For example, if a device such as the new Tecno Camon CM is put up as one of the flash sale devices, you might be able to get it for, say, ₦30,000 instead of its usual ₦47,000 selling price. Flash sale devices are very very very limited in quantity. So, do not be shocked to find out that a flash sale which was slated to start at 3:00 PM is already sold out at 3:02 PM. Yep, these flash sale devices are that limited in quantity and folks are that fast. … when you shop using the Jumia Mobile App and select Jumia Pay at checkout. What this means is, if your cart total sums up to, say, ₦150,000 at checkout, you get to keep ₦7,500. … starting from March 12, when you spin the wheel of fortune. Is there any other thing I need to Know? Other than, if you really want to score deals, be ready? I think not. Make sure you’re signed in to Jumia and have your delivery address details filled out before a flash sale begins if you really want to be among the lucky fast few who secure a flash sale deal. Look out for the “Mobile Week Deal” badge to know products which are reasonably discounted during the week. Make sure you’re subscribed to the inner circle to receive the best deal updates. (click here to join the inner circle). Got any more questions about the Mobile week event? Post them below in the comment section and get an answer in no time. When are we expecting this year’s mobile week to start?? Please I need to know ASAP.